The world would be a very boring place if we were all the same; we would be deprived of individual’s brilliance, personality, humor, ideas and idiosyncrasies. Why then should all content be the same? Why can’t we have different methods of delivery? A question that often arises within the digital industry is what is rich media? Rich media is basically any type of communicative media, multi-media if you like. Rich media is the combination of text, visual, audio and interactive elements published online to attract attention and encourage activity and engagement. Rich media is used with the purpose of guiding the consumer towards providing some sort of input whilst conveying data through a number of different mediums using the resources at your disposal. Marketers should endeavor to utilize any and all means available to them to attract and retain viewers, encouraging interaction and engagement along the way. This should be part of every marketer’s mantra and go without saying. 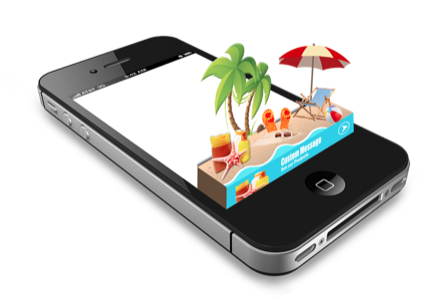 The use of images and video are a sure fire way of doing this, think of it this way, if the world has gone mobile you have to be able to attract their attention right away, you most likely only have a few seconds to grab the consumers attention. Below is a video explaining how to assemble online publication with interactive features such as video. Online marketers are consistently on the lookout for new methods to stand out from the crowd and if they are not, they should be. The use of rich media offers them just such a platform from which to air their wares, rich media offers a plethora of alternatives to the written word and still images, any and all can be utilized by the online marketer to reach and engage with broader markets and ranges of consumers. Do certain media types stimulate the senses more than others? When readers are faced with text only information there are usually two outcomes, either the respondent will digest the information or they will struggle. There is no right and wrong here, just as I sad at the start, we are all different. It is often the case the people who don’t struggle have prior knowledge of the subject and are stronger readers in general, again I want to reiterate, there is no right and wrong, just the fact we are all wired differently with different skill sets and talents. It is a fact that if you showed the same text to the same people except this time you interlaced the text with images your information would have a longer lasting resonation on all those who read it, particularly those who reading skills weren’t as strong as others. Images and text are complimentary to one another, combined they dovetail and deliver a stronger message. If you include images within your text, those people with a lower prior knowledge of the subject will spend more time referring to the images than those with a higher prior knowledge of the subject. This leads to the message being widely accepted, just through different methods. As much as 30 % of your potential audience are auditory learners, this method of sharing information allows for an entirely independent audience to receive and digest your content, podcast and audiobooks can form an intimate relationship with the consumer, shows expertise and is a way to build brand equity across multiple devices. 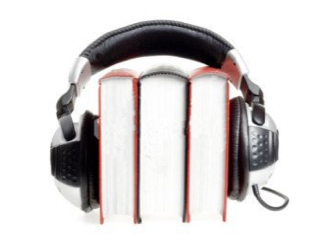 Audiobooks will continue to garner ever more traction in the coming year, their amazing popularity could see publishers possibly release back titles as an additional method to monetize resources they already have at their disposal. As alluded to by Thomas Umstattd Jr. below. See more in the video below on how to include audio in your digital editions. Often the cornerstone of marketing strategies, and for very good reason. This form of content offers thorough information that the consumer can learn from. It demonstrates knowledge and expertise from you and helps to build relationships through trust and appreciation. An essential facet of any marketer’s armory. Dynamic content has transformed the world of online publishing, we are no longer tied to static pictures and text when it comes to the publications we view, we now have the added value that audio and video bring to our publications, they say that a picture can speak a thousand words, well by this theory surely video and audio interaction can only enhance our publications and in turn then enrich the quality of the end users experience. • YouTube: some 40% of YouTube’s traffic now comes from mobile. Compare that to just 25% last year and a paltry 6% only two years ago. • By 2017, video will account for 69% of all consumer internet traffic according to Cisco; video-on demand traffic alone will have almost trebled. • Audience boom: About 50 million people in the U.S. now watch video on their mobile phones. Fifteen percent of all online video hours globally are viewed on tablets and smartphones. Videos have the potential to go viral which is every marketers dream, Volkswagen hit the jackpot with their trio of videos which collectively accrued over 155 million views, not bad going I think you will agree! The internet and the advancement of the tools we can use to produce content within it has given marketers the perfect platform to create interactive material that will engage consumers and encourage them to spend more time on your site sifting through your material. It engages the user to interact, share socially and reveal personal information that can be used to help your lead targeting. The advantages of using rich media within your marketing strategy are obvious and plentiful, the consumer is exposed to an ever increasing array of options when it comes to the content they view, read or hear. Don’t let the fact your marketing strategy doesn’t account for this be the reason you failed to reach out and engage with consumers worldwide. Try the free, fully functional trial of 3D Issue today and harness the power and potential of rich media within your online publications and marketing.